The countdown is on to this year’s Lexus Melbourne Cup, and to help you back a winner, we’ve compiled all the stats, betting info and form you need to know ahead of Australia’s greatest race. Magic Circle, above, is among the top international raiders after drawing barrier 17 at Flemington on Saturday. 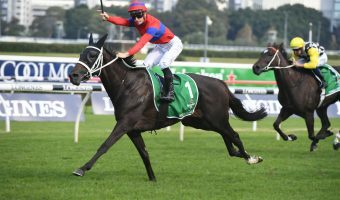 With the market continuing to fluctuate following Saturday’s post-Derby barrier draw, Irish import Yucatan heads the betting at $6.00 with Ladbrokes. 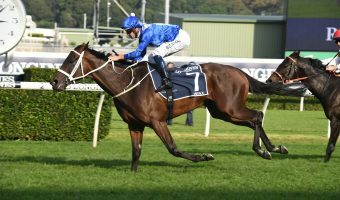 Fresh from his historic Cox Plate victory aboard Winx a fortnight ago, jockey Hugh Bowman saddles up $16.00 roughie Marmelo ($16), while last year’s winning rider Corey Brown takes the reins of $9.00 second-elect, Magic Circle. Champion trainer Chris Waller is yet to win a Melbourne Cup, but he’s boosted his chances with three runners this year, including long-time fan favourite, Who Shot TheBarman ($41). Likewise, Aidan O’Brien has brought three strong Irish raiders over in the likes of race-favourite Yucatan, as well as The Cliffsofmoher ($16) and Rostropovich ($26). Last but not least, Darren Weir’s lone hopeful Red Cardinal ($41) is out to earn the Warnambool millionaire his second Melbourne Cup win following Prince of Penzance’s victory in 2015. So who’s worth your money and why? Be sure to check out all you need to know ahead of the race that stops the nation, below! 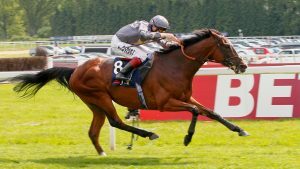 Last year’s Melbourne Cup winner was the Joseph O’Brien-trained, Nick Williams-owned Rekindling (2017) who came off a fourth-placing in Doncaster’s Group 1 St Leger (2921m). The four-year old jumped from barrier 4 and had Corey Brown aboard after opening at $15 odds. Four horses return to contest the Melbourne Cup this year: Red Cardinal ($41), Ventura Storm ($26), Nakeeta ($67), Marmelo ($16). #20 Zacada has opened at the longest priced odds with Ladbrokes ($126). A win would make him the longest priced winner since Prince of Penzance ($101 in 2015). Last year’s Melbourne Cup winning trainer Joseph O’Brien does not have a runner in this year’s race. 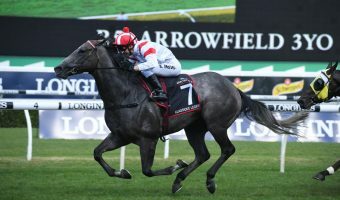 Last year’s Melbourne Cup winning jockey Corey Brown will saddle $9.00 second-elect Magic Circle, who is first-up in Australia after winning the Group 3 Henry II Stakes in Britain back in May. Brown now hopes to join Glen Boss (Makaybe Diva 2005, 2004, 2003) and Damien Oliver (Fiorente 2013, Media Puzzle 2002, Doriemus 1995) as the only current jockeys to have ridden three Melbourne Cup winners. Brown is also hoping to become the first jockey since Boss to ride back-to-back Melbourne Cup winners. The other previous Melbourne Cup winning jockeys with a ride this year are: Corey Brown (Rekindling 2017, Shocking, 2009) on #3 Magic Circle, Kerrin McEvoy (Almandin 2016, Brew 2000) on #23 Cross Counter, Damien Oliver (Fiorente 2013, Media Puzzle 2002, Doriemus 1995) on #14 Red Cardinal. The other previous Melbourne Cup winning trainers (since 1983) with a runner in 2018 are: Darren Weir (Prince Of Penzance, 2015) with #6 Red Cardinal and Gai Waterhouse (Fiorente, 2013) with #21 Runaway. Irish trainer Aidan O’Brien has dominated the field with three runners: #2 The Cliffsofmoher, #11 Yucatan, #24 Rostropovich. With no female jockey’s booked, Michelle Payne will remain the only female to have won a Melbourne Cup (Prince of Penzance, 2015). #1 Best Solution is also hoping to become the 12th horse since Ethereal (2001) to complete the Caulfield Cup/Melbourne Cup double. 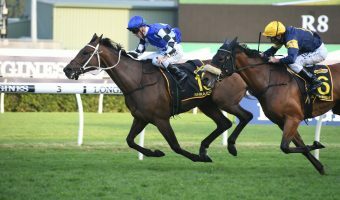 #10 Avilius looks to become the first horse since Almandin (2016) to win The Bart Cummings/Melbourne Cup double. #17 A Prince of Arran also hopes to become the first horse since Shocking (2009) to win the Lexus Stakes/Melbourne Cup double. Three of the past six Melbourne Cup winners came off a Moonee Valley lead-up. The Moonee Valley graduates in this years race are: #7 Who Shot TheBarman (4th Moonee Valley Gold Cup), #10 Avilius (4th Cox Plate), #14 Red Cardinal (11th Moonee Valley Gold Cup), #16 Ventura Storm (1st Moonee Valley Gold Cup), #18 Nakeeta (13th Moonee Valley Gold Cup), #24 Rostropovich (5th Cox Plate). The Cox Plate produced recent Melbourne Cup winners Fiorente (3rd in 2013) and Green Moon (7th in 2012). The Geelong Cup has produced two Melbourne Cup winners in the past decade with French raiders Americain (2010) and Dunaden (2011) both doing the double. #21 Runaway won the Geelong Cup this year, while third placegetter #13 Finche also joins him in the field. Vintage Crop (1993) was the last Melbourne Cup winner to come off a non-Australian lead-up. The first-up 2018 Melbourne Cup International Raiders are: #3 Magic Circle (IRE), #5 Muntahaa (IRE), #9 Marmelo (GB), #23 Cross Counter (GB), #8 Ace High (15th), #15 Venguer Masque (9th), #16 Ventura Storm (10th), #22 Youngstar (7th). The last Melbourne Cup winner straight out of the Caulfield Cup was Delta Blues (3rd in 2006). The Caulfield Cup graduates in this years race are: #1 Best Solution (1st), #2 The Cliffsofmoher (3rd), #4 Chestnut Coat (13th), #6 Sound Check (12th). Best Solution has firmed into $13.00 with Ladbrokes since drawing barrier six, a gate that has seen five winners in the past. #11 Yucatan, this year’s $6.00 Cup favourite, drew barrier 24. Last year’s Melbourne Cup winning barrier (4) has produced six winners (since 1983) and belongs this year to #4 Chestnut Coat. The only Melbourne Cup barrier never to produce a winner is 18, with #7 Who Shot TheBarman out to break the hoodoo. The six-year old’s are: #5 Muntahaa, #6 Sound Check, #9 Marmelo, #16 Ventura Storm, #17 A Prince of Arran, #20 Zacada. Overall five-year-olds have won the most Melbourne Cups (44) tied with four-year-olds (44). The five-year old’s are: #1 Best Solution, #2 The Cliffsofmoher, #4 Chestnut Coat, #10 Avilius, #11 Yucatan, #13 Finche, #19 Sir Charles Road. The four-year old’s are: #24 Rostropovich, #23 Cross Counter, #22 Youngstar, #21 Runaway, #8 Ace High. #7 Who Shot TheBarman is out to be the first 10-year-old Melbourne Cup winner in history. Since Makybe Diva (2005) the only Melbourne Cup favourite to salute for the punters is Fiorente (2013). #11 Yucatan ($6) is the current favourite in 2018 Melbourne Cup betting. A total of six Melbourne Cup favourites have won since 1983. #1 Best Solution carries the topweight of 57.5kg this year, hoping to become the 16th horse, and the first since Makaybe Diva in 2005, to win with 57kg’s or more. Last year’s Melbourne Cup winning weight was 51.5kg. This year #22 Youngstar is the only horse allocated those exact kilos. 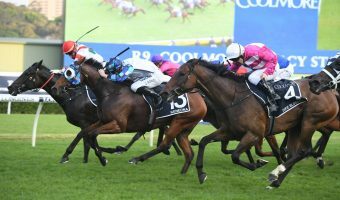 #1 Best Solution (57.5kg) carries the top weight and is out to be the first horse since Makybe Diva (2005) to carry more than 56.5kg to victory. #24 Rostropovich (51kg) is the lightweight and is out to join Shocking (2009), Makaybe Diva (2003), Jezabeel (1998), Lets Elope (1991), Evening Peal (1956), Statesman (1928), Blue Spec (1905), as the eighth horse to win with that weight. The best Win Rate of the field belongs to #23 Cross Counter (57%) followed by #10 Avilius (50%). The highest Place rate of the field belongs to #23 Cross Counter (86%) followed by #9 Marmelo and #10 Avilius (75%). The horses with the previous winning form over the distance (3200m) are: #7 Who Shot TheBarman (9: 2-2-1), #14 Red Cardinal (3: 2-0-0), #17 A Prince of Arran (6: 1-1-1). The horses with previous winning form at the track (Flemington) are: #7 Who Shot TheBarman (6: 2-0-1), #8 Ace High (2: 1-0-0), #10 Avilius (1: 1-0-0), #15 Vengeur Masque (6: 1-2-0), #21 Runaway (2: 1-0-0).